HOW IT WORKS: All #1 OPM and International songs of 2018 were included and ranked according to their longest stay at the No. 1 spot. The cut-off period for Weekly Top 20 is from the first charting week of February 2018 until the week of December 23, 2018. 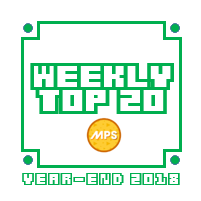 See what fans has to say about the Weekly Top 20 MPS Year-End 2018 results! 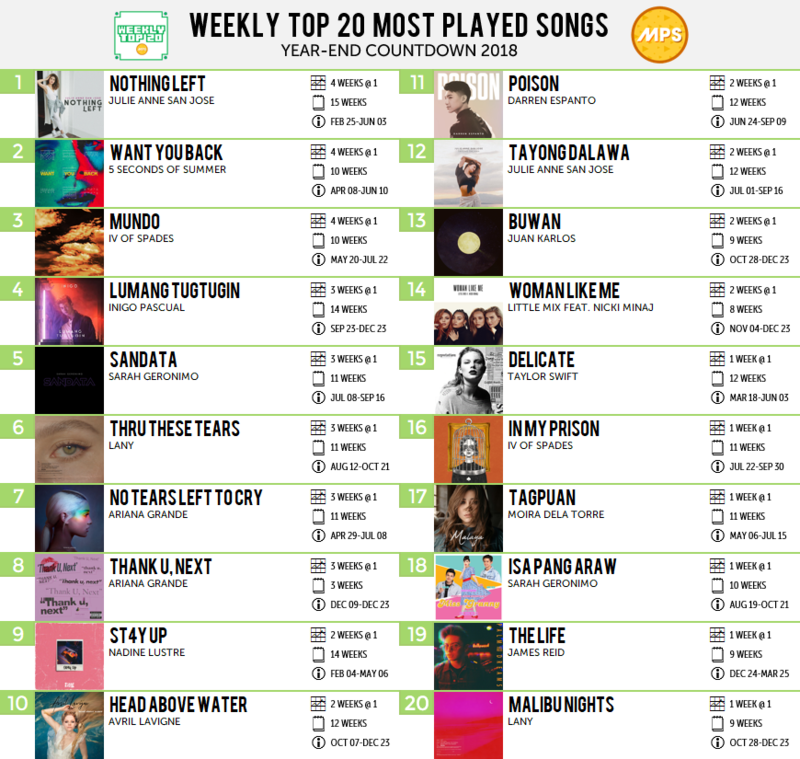 On this year-end chart, Julie Anne San Jose secured the number 1 spot with "Nothing Left" while 5 Seconds of Summer's "Want You Back" is the highest International entry at number 2. Newcomers IV of Spades and LANY had 2 entries each. All of our 3 weekend charts had 3 different number one songs. It goes to show that our chart is diverse and you can see how the changes in their chart movement every week affect the year-end countdown. Can one of them be the Best of 2018 song based on our daily chart? We'll find out tomorrow.